30 years ago today saw the release of Transformers: The Movie, the animated film that saw the demise of Megatron and Optimus Prime, the introduction of Unicron, and the rise of Hot Rod, Rodimus Prime and Galvatron. For the first time, Transformers: The Movie is available on Blu-Ray. Transformers: The Movie goes on sale September 13th starring the voice talent of Orson Welles, Leonard Nimoy, Peter Cullen, Frank Welker, Casey Kasem, Judd Nelson and Robert Stack. The Combaticon character Onslaught has been confirmed to appear in “Transformers: The Last Knight,” as revealed in a photo from director Michael Bay showcasing the classic Transformers character in its truck form. In the original animated series, Onslaught is the strategical leader of the Combaticons, an elite group of Decepticon soldiers. Because of Onslaught’s presence in “Transformers: The Last Knight,” we wouldn’t be surprised if other Combaticons like Swindle or Vortex show up. Follow the link to Spinoff Online for the full story and photo. The forthcoming fifth live-action Transformers film has been named, according to ComingSoon.net. Paramount Pictures has today announced the official title for the upcoming Transformers 5. Get ready for Michael Bay‘s Transformers: The Last Knight to hit the big screen June 23, 2017! The Transformers: The Last Knight cast is confirmed to include the return of Transformers: Age of Extinction star Mark Wahlberg as Cade Yeager as well as new roles for Isabela Moner (100 Things to Do Before High School, Growing Up Fisher) as the film’s female lead, Izabella. Jerrod Carmichael (The Carmichael Show, Neighbors) is also set to play an unspecified leading role. Production on Transformers: The Last Knight is set to begin June 6 in Detroit with production planned to take place at various locations around the world. Follow the link for the rest of the article. Thanks to board member Sparky Prime for the news. Is this the replacement for Botcon? Hasbro has applied to trademark the name “Hasbrocon”. The application was filed on Monday, 9th of May 2016. With all the rumors that this years Botcon could well be the last, it’s not a stretch to wonder if Hasbro plans to run their own convention to promote their various brands. Thanks to “Transformers at the Moon” for this information. 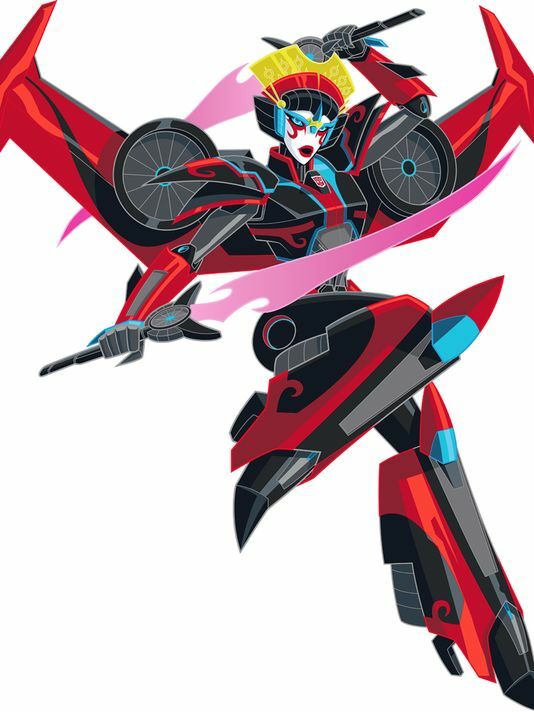 Windblade means a lot to fans because, well, they helped build her last year through polls to determine her personality traits and abilities. And Victorion, a new “Combiner” Transformer comprised of six different female Autobots and a result of another recent fan-built poll, is rolling out in the July comic Transformers: Combiner Hunters and debuting in toy form in the near future. The article briefly discusses the history of female characters in the Transformers franchise. Voice actor Constance Zimmer, writer Mairghread Scott and Sarah Carroll, senior brand manager are among those quoted. Follow the link above for the full article. According to Spinoff Online, Paramount Pictures hopes to create an expanded universe for the Transformers. In a bid for a “Transformers” expanded universe, Paramount Pictures has tapped Akiva Goldsman to create a “writers’ room” for the franchise with director Michael Bay, executive producer Steven Spielberg and producer Lorenzo di Bonaventura, Deadline reports. Goldman, who won an Oscar for his screenplay for “A Beautiful Mind,” will likely oversee the writing process for a more cohesive universe involving multiple spinoffs of the core “Transformers” films. The studio appears to want to fast-track these sequels and spinoffs. Last year’s “Transformers: Age of Extinction” grossed nearly $1.1 billion worldwide, generating $250 million in net profits for the studio. Mark Wahlberg, who starred in the film, is on board for more installments of the franchise. 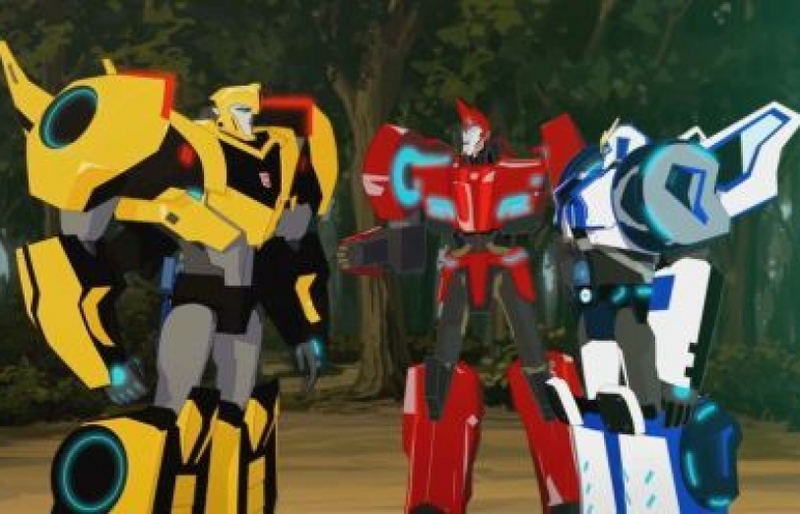 Just when it seemed like Saturday morning cartoons had gone the way of Cybertron, the Cartoon Network and Hasbro are giving us (and the machines) a reason to rise and shine with Transformers: Robots in Disguise. Centered on Bumblebee, the Autobot also known as a yellow muscle car, this fun new entry in the franchise inspired by Hasbro’s popular line of mighty morphin’ mobile changers has a more humorous vibe than previous incarnations such as Transformers: Prime or Beast Wars. 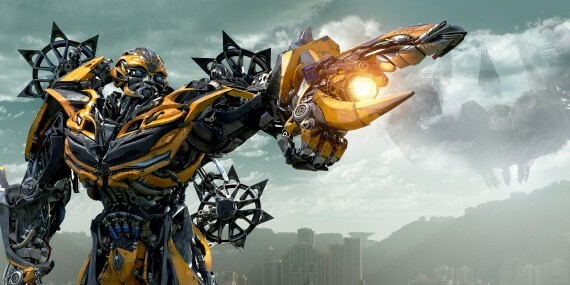 In this version, Optimus Prime puts ‘Bee in charge of protecting our planet when the troublemaking Transformers on the new team—including Dinobot fave Grimlock—find their metal, err, mettle tested by a crew of Decepticons, who wreak havoc on mankind after their prison ship crashes on Earth. 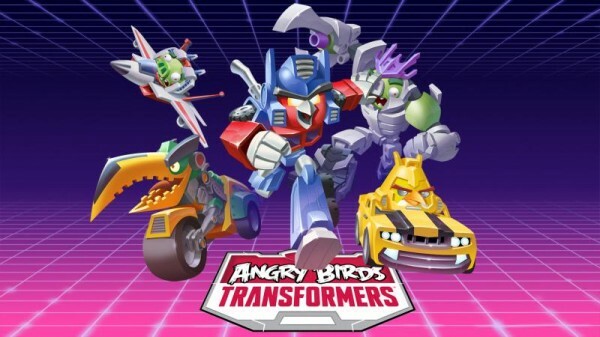 Among the vocal cast is Glee‘s Darren Criss, Entourage‘s Constance Zimmer, Boy Meets World‘s Will Friedle, and the only person who should ever voice Optimus Prime, Peter Cullen. Follow the link for the scheduling information, and for a preview clip of the new series. The theme for Botcon 2015 has been revealed: Cybertron’s Most Wanted! And the planet’s only hope. 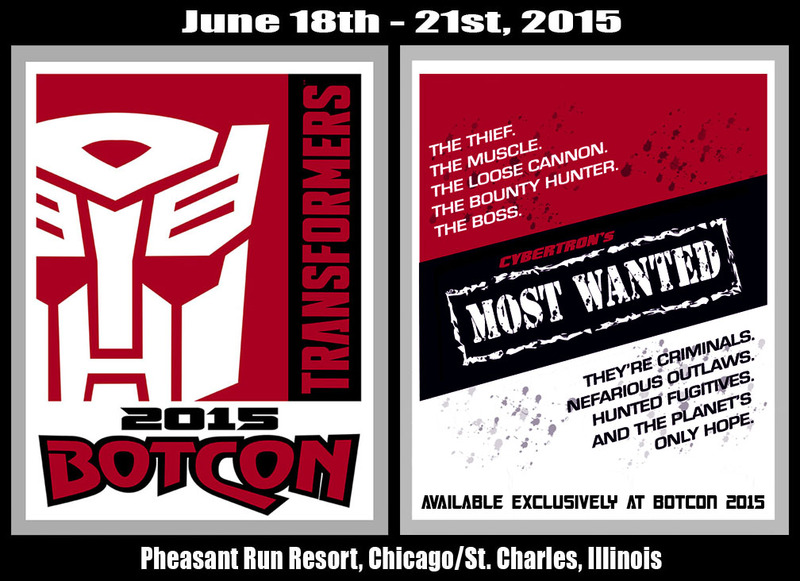 Botcon 2015 will be held from June 18th – 21st at the Pheasant Run Resort, Chicago Illinois. Check the official Botcon site for reservation information. Further information will be available on Botcon’s official Twitter feed.